Lake District Osprey Project; Number 14 Comes out of the Desert. 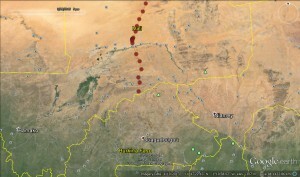 By Tuesday evening ,having used his tactic of flying high and fast, Number 14 was able to roost close to the Niger River as it crosses from west to east through Mali. A good part of Wednesday morning was also spent in that area. With Giraffes and various other animals from the African collection of wildlife below him he then continued south towards the border with Burkina Faso. By entering Burkina Faso he will not only get closer to his favourite island of Bioko but will also add a new country to his list. Where is Number 14 ? He’s certainly not on a nice beach enjoying the sun. 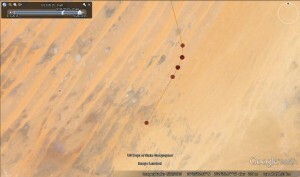 Our most recent download has put him in the middle of the Sahara Desert approaching the border between Algeria and Mali. He has travelled approximately 780 miles since the North African coast crossing the Atlas Mountains on the way. On Thursday he passed over what was probably his last chance for water, an Algerian river, Friday night meant a roost in the desert, but by 9.00am this morning he was on his way once again. If he keeps to the course south that he has set himself and continues with his tactic of flying high and fast he should meet the Niger River in southern Mali within two days. For those with a wish for detail he has been flying between 1400 and 1500 metres at a speed of 60 to 70 kph. Lake District Ospreys head south. 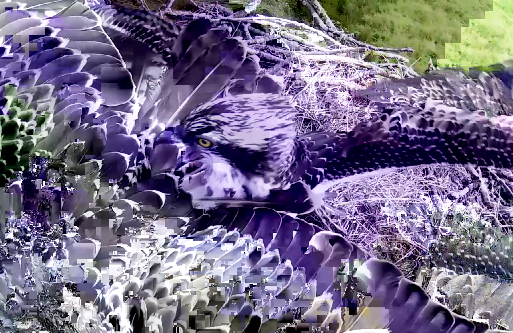 Strange things sometime happen on the Lake District Osprey Project, the above image was captured one day towards the end of the season when our cameras on the nest had a small malfunction – an interesting combination of nature and technology. At the end of our second week without ospreys we can report on the following. V1 (we believe) our youngest osprey was seen in the diamond field on Tuesday the 8th September by one of our sharp eyed volunteers on squirrel feeding duty. V0 has been tracked over the last few weeks to Senegal so unlike our 2013 birds has taken the western route much loved by mum. Number 14 meanwhile has taken a more sedate course to France, via Portsmouth/Southampton, and was last reported just south of Paris. Could he be on his way to Bioko once again? Regular reports on our birds will appear on this site during the Autumn and Winter. Enjoy! 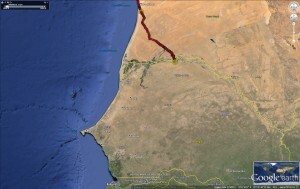 V0 left Europe and crossed the Gulf of Cadiz, entering the African continent just West of Casablanca in Morocco. He then travelled SW, migrating through Western Sahara, Mauritania and eventually into Senegal. His latest position is in an estuarine area inland from the coast. 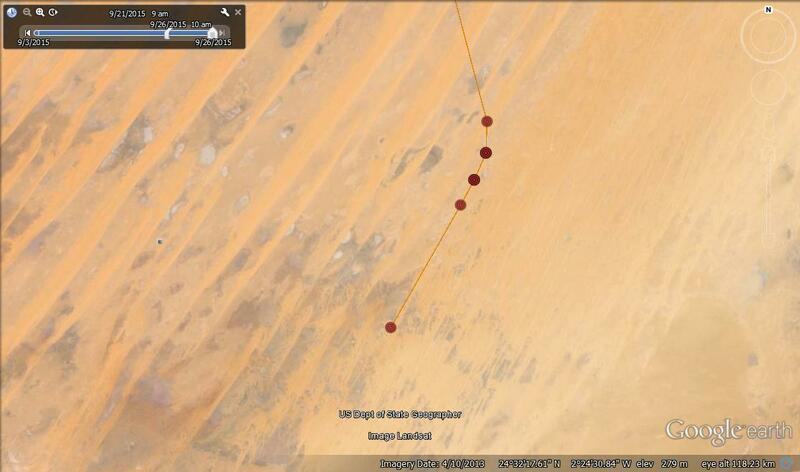 We have just got the latest set of maps from V0’s tracker and he’s off ! He left the nest site and headed S/SW passing over Morecambe Bay, Cheshire, West of Birmingham, over Bristol, Bath and then crossed the Channel at Weymouth, entering France via Northern Brittany. He then embarked on an epic 12 hour crossing of the Bay of Biscay, landing in Northern Spain, just West of Santander….here he rested for a day. The course he took then was over the Northern Spanish mountains, at one point flying at over 2000m, then into Portugal through the Guarda region before meeting the coast at Comporta then heading South to the Algarve region and his last information was from near Villa Nova de Milfontes. On Monday, as the Lake District Osprey Project came to the end of another season, we left three very healthy ospreys around the shores of Bassenthwaite preparing no doubt for their very individual flights south. Meanwhile, in the south of the county, Number 14 still seems to be in exploration mode. He is now taking a good look at the area between Windermere, Coniston and Ulverston. Will Grizedale Forest one day have it’s own set of ospreys? At the week end he was over Brantwood and Sattersthwaite. No doubt a trip south will also enter his mind all too soon. 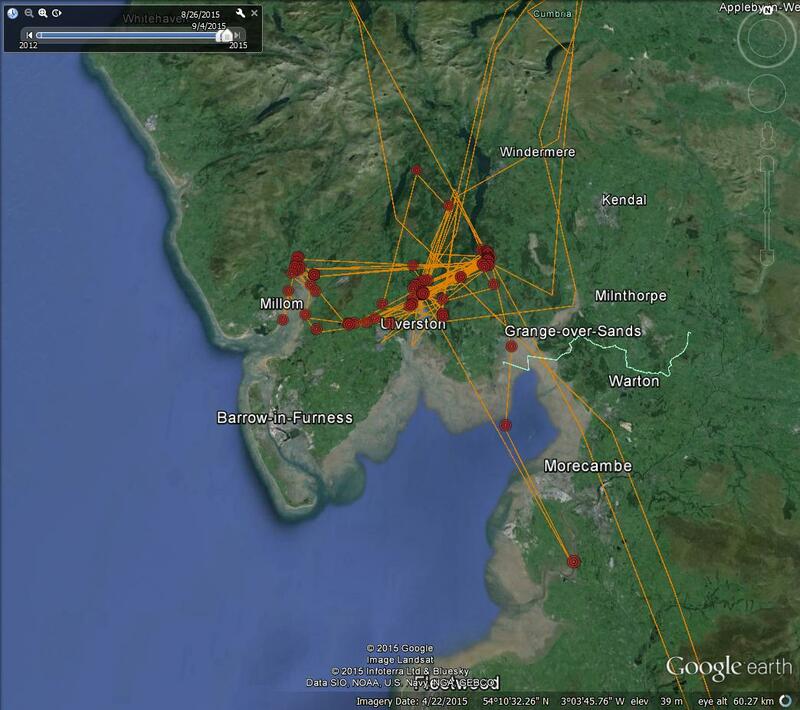 With at least six nesting pairs of ospreys in Cumbria this year the future does look rather interesting!